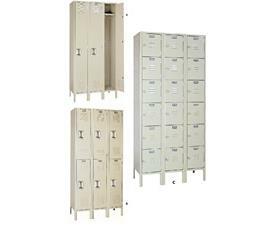 Durable, attractive all steel lockers. 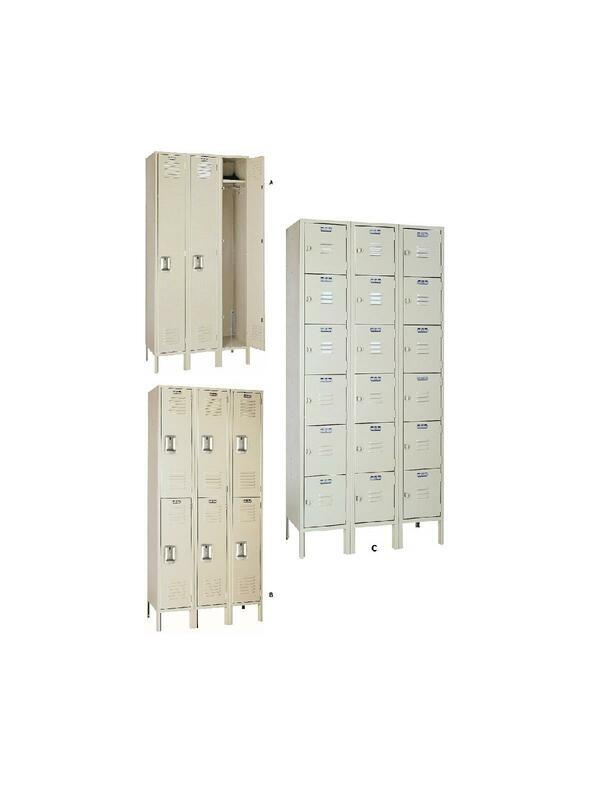 Sturdy lockers in multiple configurations. Lockers come fully assembled and ready to use. Built strong with pop rivet construction. Lockers feature louvered doors for ventilation. Padlock attachments are an integral part of the handle (padlock not included). Available in Dove Gray or Putty. FOB Shipping Point. A) Single Tier Lockers - The most practical and widely used of all lockers. Provides a convenient shelf as well as full length clothing storage. Choose one or three compartments. B) Double Tier Lockers - Meets a great many requirements, particularly for short-period occupancy and where short garments are stored. Choose two or six compartments. 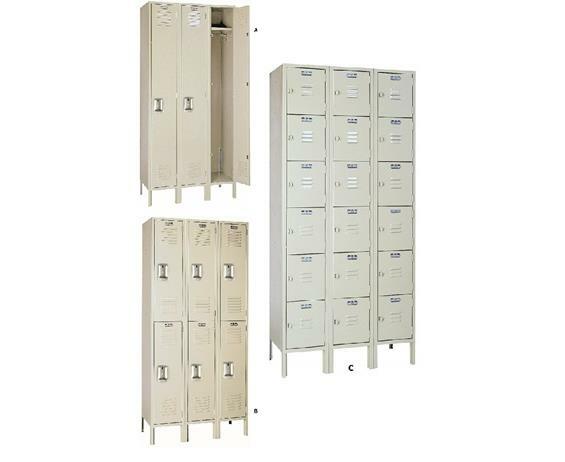 C) Multiple Tier Lockers - Provides high-density storage of individual belongings and supplies in classrooms, laboratories, gymnasiums, sports and recreation facilities. Choose six or eighteen compartments. See Related Items tab for Locker Benches. D x W x H 12 x 18 x 12" 12 x 18 x 36" 12 x 18 x 72"